In the context of internal medicine, “triage” is a newly popularized term that refers to constellation of activities related to determining the most appropriate disposition plans for patients, including assessing patients for admissions into the inpatient medicine service. The physician or “triagist” plays a critical role in the transition of care from the outpatient to the inpatient settings, yet little literature exists addressing this particular transition. The importance of this set of responsibilities has evolved over time as health systems become increasingly complex to navigate for physicians and patients. With the emphasis on hospital efficiency metrics such as emergency department throughput and appropriateness of admissions, this type of systems-based thinking is a necessary skill for practicing contemporary inpatient medicine. We believe that triaging admissions is a critical transition in the care continuum and represents an entrustable professional activity that integrates skills across multiple Accreditation Council for Graduate Medical Education (ACGME) competencies that internal medicine residents must master. Specific curricular competencies that address the domains of provider, system, and patient will deliver a solid foundation to fill a gap in skills and knowledge for the triagist role in IM residency training. 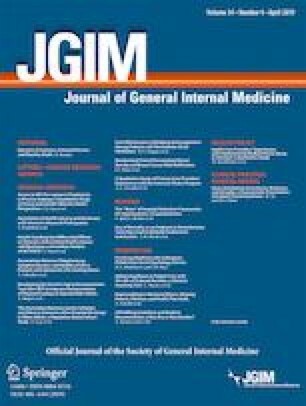 Content from this manuscript was presented as a workshop at AAIM Academic Internal Medicine Week 2018 in San Antonio, Texas, and as poster presentations at Society of General Internal Medicine National Meeting 2018 in Denver, Colorado. The research reported here was supported by the Department of Veterans Affairs, Veterans Health Administration. Author salary support is provided by the South Texas Veterans Health Care System and by the Division of Hospital Medicine at the University of Texas Health Science Center San Antonio. This work was supported in part by a 2017 Alliance for Academic Internal Medicine (AAIM) Innovation Grant. The views expressed in this article are those of the authors and do not necessarily reflect the positions or policies of the Department of Veterans Affairs or collaborating institutions. Transitions of Care: The need for a more effective approach to continuing patient care. 2012. 2018, at https://www.jointcommission.org/assets/1/18/Hot_Topics_Transitions_of_Care.pdf. Internal Medicine End of Training EPAs. 2012. 2018, at https://www.im.org/resources/ume-gme-program-resources/milestones/end-epas. The Internal Medicine Milestone Project. 2015. 2018, at http://www.acgme.org/portals/0/pdfs/milestones/internalmedicinemilestones.pdf. Clinical Microsystem Assessment Tool. 2018, at http://www.ihi.org/resources/Pages/Tools/ClinicalMicrosystemAssessmentTool.aspx.